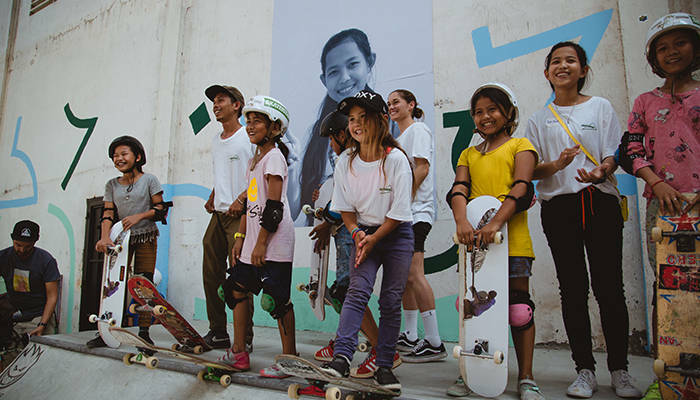 Skateistan’s mission of goodwill continues with the addition of its newest Skate School in Phnom Penh, Cambodia. On February 23, Over 100 children celebrated alongside special guests from around the world, including Sky Brown, Mimi Knoop, Jim Thiebaud, and The Skateroom. Skateistan first began running programs in Phnom Penh in 2011, and recently moved to a new location, within the creative hub of Factory Phnom Penh, to better meet the needs of local children. To learn more, visit the Skateistan website.